NW Calgary Orthodontist – Cory Liss – instills the importance of wearing your orthodontic appliance according to your orthodontist’s instructions. As much as he loved being your orthodontist, he doesn’t want to see your smile in his office for yet another two years, and explains that when a finishing appliance is worn correctly the tendency for teeth to drift is prevented and the need for repeat treatment is removed. Can Orthodontic Treatment Really Help You Keep Your Teeth Longer? A whopping 10.13% of adults aged 50 to 64 have lost all of their teeth! That makes for quite a few gummy smiles…and motivation for younger generations to take care of their teeth while they have them. Calgary Orthodontists play an important role in helping patients attain healthy smiles that increase the chance of keeping teeth for a lifetime. 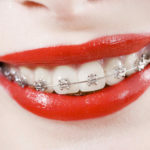 Dr. Cory Liss is an Orthodontist with offices in Calgary and Airdrie who explains the many benefits of orthodontic treatment – apart from Straightening Teeth.